In ancient times astrology was interpreted in an extremely literal way and from written accounts it would seem that what the motion of the planets against the backdrop of the heavens ‘predicted’ was just accepted as a person’s fate that they could not escape. However, with more modern thinking, and since the discovery of the outer planets, Western astrology is now largely used as a very constructive psychological tool of understanding, as opposed to a scary fait accompli. The birth chart is probably the best map of the psyche that we have currently available to us. This is why such eminent psychoanalysts as Carl Jung used astrology to gain insights into his patients’ psychological makeup. We do not fully understand the mechanism of how astrology works, although it is more to do with the motion of planets, not stars as many people seem to think. Perhaps the planets’ physical movements affect us, or the solar system’s magnetic fields can somehow be imprinted with consciousness. Certainly the Moon’s gravitational pull has a huge impact on the tides and also creates changes in us. It is well documented that at times of Full Moons, for instance, crime rates go up and asylums and hospitals report more disruption. However it works, it does work, as some very good statistical studies have shown for all the modern scepticism which often dismisses astrology without any proper investigation. Whatever the mechanism behind it, I view astrology in terms of a symbolic language that can be interpreted in a very purposeful way. Since the discovery of the outer planets – Uranus, Neptune and Pluto – we have become much more familiar with the archetypal forces they represent and the effects they can have in our lives when they transit round our birth (or ‘natal’) chart. Understanding these can help us navigate our way through life’s challenges. In recent years, as well as providing personal astrological advice, Helen has also become interested in the bigger cycles of the outer planets and how they affect individual countries and society at large. For more information on this side of her work, watch her lectures on the Videos page. Personal Horoscopes: Some clients have never had their own personal horoscope drawn up and interpreted before, and are curious to know what exactly this will reveal about their individual make up. This can be a uniquely confirming experience because sometimes we can be a little unsure as to why we behave in certain ways and we doubt our authenticity. Life Challenges: More often than not, a person will consult Helen because they are experiencing difficulties and challenges in their lives, ranging from relationship issues to career and home-life dilemmas. Interpreting the current transits of the planets and how they aspect a person’s natal chart can give very revealing insights as to the meaning of the problem, and also indicates when the phase is likely to end once the transit has moved on. Relationships: Couples – whether they have just met, or if they are long term partners – often want to know the reasons why they are attracted to each other, and also where there are stumbling blocks between them. 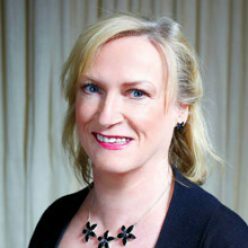 Helen is also a couple counsellor for Relate and has a deep understanding of relationship issues and the best ways forward in problem solving. Parenting: New parents frequently consult Helen with a view to gaining more understanding of their baby’s personality and discovering the huge potentials they can help to develop in their child. Issues around children of all ages and general family dynamics can all be helped by looking at them astrologically. Business: Business people, who would like to know the most auspicious time to set up their business or make a major decision, will often seek astrological advice, as some days or periods have far more favourable aspects than others. Events: Anyone who would like help in choosing the best time to hold an important event in their lives, be it a wedding, conference, party or any other occasion, can seek astrological guidance from Helen. See Booking a Consultation for details on how to arrange a reading with Helen, along with information on her other astrological services.